This “How To” series will walk you through the basics of creating a T-shirt quilt from start to finish! Since it’s back-to-school time, this is a good opportunity to go through your kids’ closets and pull out all the T-shirts that don’t fit them any more, and then turn them into a memory quilt (or several). So let’s get started! Today we’re going to cover gathering your materials, determining your finished quilt size, and cutting. For today’s portion of the instructions you will only need the T-shirts, cutting materials, pressing supplies, and tricot fusible. 1. 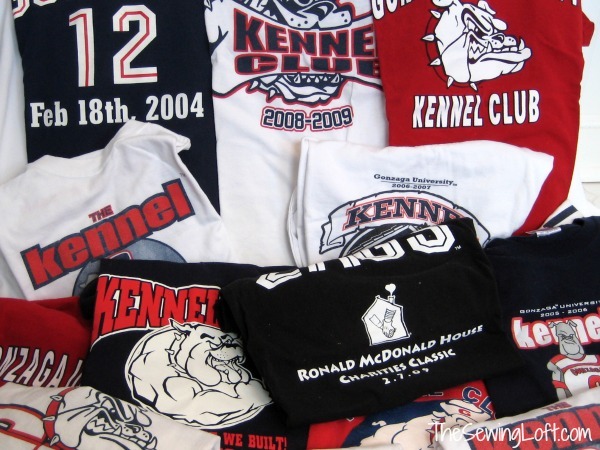 Gather all of the T-shirts you would like to include in your quilt. (Be sure that they are clean and ready to use!) Find a flat surface to lay out your T-shirts for cutting. 2. 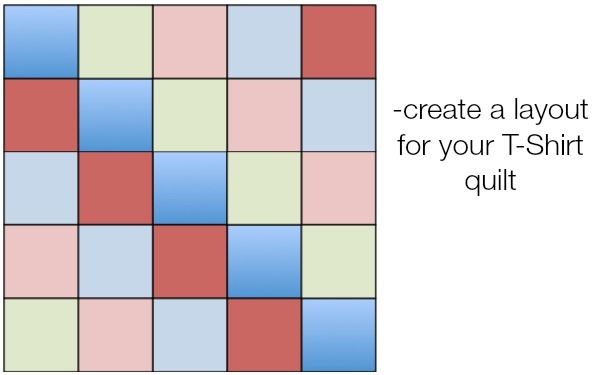 Determine the size of your finished quilt. Before you can start cutting each square, you need to determine the finished size of your quilt and number of squares you will be including. Example: I will be creating a 25 square/pieced quilt that will finish as a full (82″ wide x 87″ tall, give or take). I will create 5 rows of 5 blocks. Each block will finish 16 1/2″ wide x 17 1/2″ tall, but I need to add seam allowance. To make things easy, I am going to add 1/4″ seam allowance to each side. Each cut block will be 17″ wide x 18″ tall. 4. 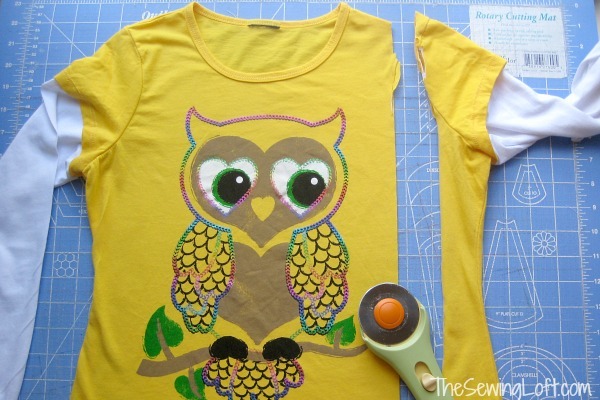 Use your scissors to cut off the necks and sides of tee shirts. You will be left with 2 large rectangles. 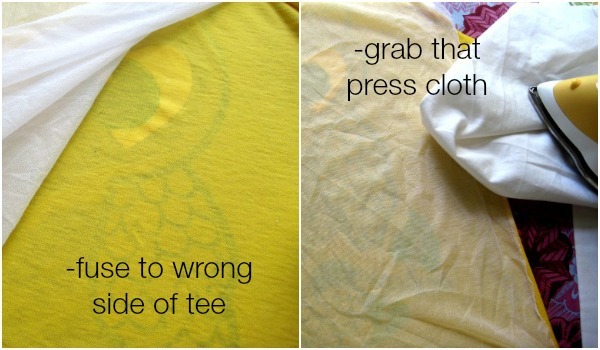 Tip: Consider fusing a larger piece and before cutting your tee shirt to size. Yes, it will use more interlining but it will be easier to line everything up during the ironing process. 6. After all pieces are fused, cut them to the size you determined for your blocks in step 2. 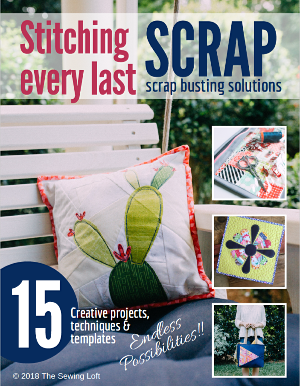 Once you finish this, you’ll be ready to start stitching! Click here for more on How To Make a Tee Shirt Quilt! 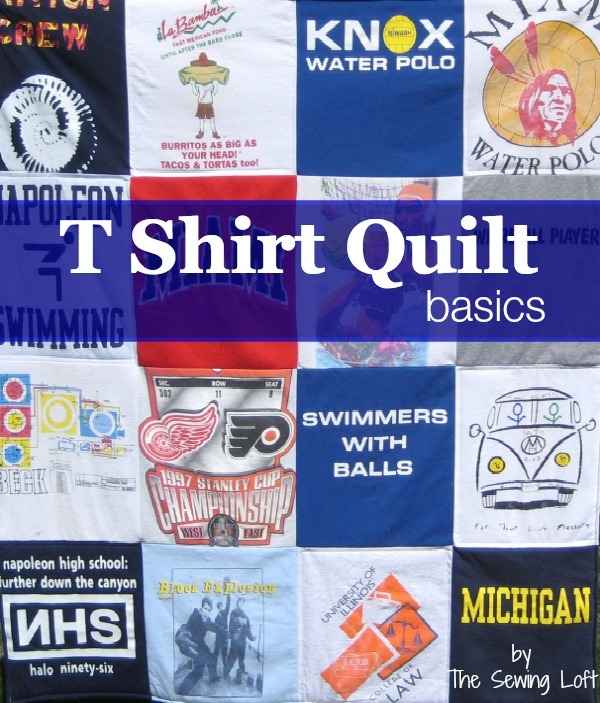 Thank you for doing this series on how to make a t-shirt quilt. What if you do not have enough t-shirts for all 25 blocks? Can you use cotton blocks for the missing t-shirt ones? thank you! If you do not have enough tee shirts Lee I would consider using the backs or buy a similar weight jersey knit fabric for the front. This will keep everything even and prevent the quilt from distorting over time. 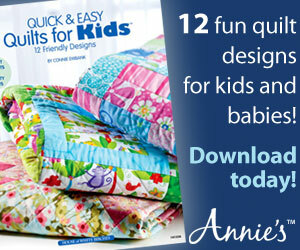 Can not wait to see what your finished quilt looks like! Heather, thank you! I have lots of t shirts I saved for this, but I did not know where to start. I see where you have told Lee to use the backs for extra blocks; does this mean I should cut away the backs before ironing on the fusible? I’m going to try to make a t-shirt quilt wish me luck. You can totally do it Betty! Sending you loads of good vibes. What interfacing did you use? It says fusible, but what weight? Is tricot the knit interfacing? Thanks! I prefer a medium to light weight interfacing but it is up to you. For me it is all about the hand feel at the end. Yes, tricot refers to knit instead of woven. You can find this at your local sewing store.